As the hotel transforms to a Whimsical Winterland, the culinary journey brings indulgent dishes to life as they leave their own brand of magic on one’s taste buds. 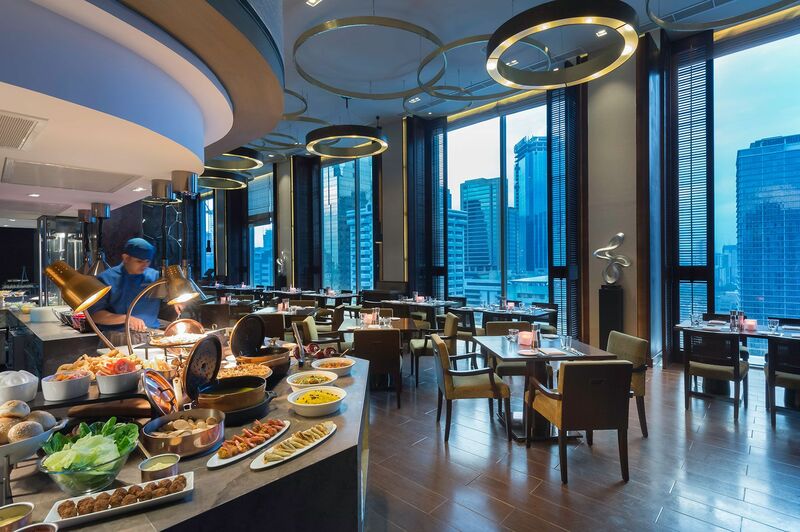 Christmas Eve dinner buffet highlights a wide array of dishes such as Roast Angus Beef Rib Eye, Caramelised Ham, and Crispy Duck Breast on Mango Basil Sauce. Have the traditional Noche Buena with a midnight spread that includes Filipino signatures Pancit Palabok and Cebuano Pork Humba. Staple Bibingka and Puto Bumbong will be served to complete the holiday. Relish the welcome of the New Year with sumptuous dishes. Media Noche dinner features Iberico Pork Loin with Apple Sauce, Chinese Barbecue Duck, and Gratinated Prawns, Mussels, and Salmon with Wholegrain Mustard Cream. Have a feast of Orecchiette with Pepperoni and Tomatoes and Roast Leg of Pork for New Year’s Day. Cucina is open daily for lunch from 12:00 NN to 2:30 PM and dinner from 6:00 PM to 10:30 PM. Midnight buffet will commence at 11:00 PM on the 24th and 31st of December. Holiday rates are at Php 3,800 for Christmas Eve Dinner, Php 1,800 for Noche Buena (Midnight), and Php 2,888 for Christmas Day. On the other hand, New Year’s Eve dinner is available Php3,800 while rates for New Year’s Day is at Php 2,888 per person. For more information about Marco Polo Ortigas Manila’s Mad Holiday Feast, contact (632) 720 7777 or book online via www.marcopolohotels.com or email: manila@marcopolohotels.com. Visit facebook.com/MarcoPoloOrtigasManila or follow @MarcoPoloManila on Twitter or Instagram.